St. Lucia is a beautiful country that we recommend you to visit. They are so many amazing things to see and visit while in St.Lucia. It is so easy to fall in love with so many things. Here are 7 reasons we fell in love with St. Lucia and why we think you should pay it a visit. Visiting St Lucia is a dream come true for many. As you make your landing on the beautiful island of St. Lucia, you will come across some lush green forest, some beautiful sandy beaches, blue skies and some amazing waterfalls. One of the most attractive things about this island is its scenery. Imagine waking up from your hotel room in Soufriere and the first thing you see, are these beautiful twin peaks, the majestic Pitons. These are one of the island’s main attractions. Taking a walk through the Botanical gardens, where you will find the lush green forest, exotic birds and an amazing waterfall, where you can go for a nice cool swim after your hike through the garden. If you are a little bit of a history buff, head down to Pigeon Island where you will find one of the most important monuments of St. Lucia’s history, the living museum within Pigeon Island. There is so much to see and explore on this little island. So what are you waiting for, get your passport ready and let’s go? Do you have a bit of a sweet tooth? Better yet, are you a chocolate lover? Well here is the island for you. St. Lucia has a full month dedicated to just chocolate. In August, they celebrate chocolate heritage month, where there are many tours through the cocoa plantations, culinary classes at the hotels and so much more. St. Lucia is known for growing its natural cocoa from way back to the 1700’s. Many of the hotels celebrate this heritage by providing their guest with different chocolate services. Restaurants also incorporate the natural cocoa flavor into the food. So if you are a foodie and you also love chocolate, come visit St. Lucia, where the chocolate is made fresh. Chocolate makes visiting St Lucia all the more irresistible. Where do I begin? I think I will start by saying yummy!!!! This island of St. Lucia has so many flavors when it comes to food. The way the flavors of the food come together in your mouth, you just don’t want to stop eating. Their most famous dish is green fig (green banana) and salt fish. This makes use of the island’s largest export, green bananas. Another great thing about being on this island is that the seafood is always fresh. There is an abundance of fresh fish and lobster all around the coast of the island, which the restaurants love to showcase. Looking for a breakfast snack? Try the Accra or fish cakes, as they call it in English. It is made with salt fish mixed with spices fried up in a batter. Now, this is not quite food but it will definitely pinch your taste buds. St. Lucia is known for their rum punch. Made with orange juice, lime juice, bitters, cinnamon, nutmeg and dark rum. This punch can be accompanied by a nice bbq by the beach. Hungry yet? Well, you know what to do. Hurry on down to this beautiful island and experience the flavors and fresh spices that it has to offer. If there is one thing you must do before leaving St. Lucia, is to hang out with the locals. The St. Lucian people are full of life and excitement. They accept the tourist with open arms. They entice you with their colorful accents, their larger than life attitude and their excitement for life. The party never stops when you hang out with the St. Lucian people. They will show you a good time where ever you want to go. And the best thing is that if you are with the locals, they will show you all the best deals, take you to the best parties, and have you taste some of the most amazing food. The St. Lucian people are also known for their kindness and generosity. You will never feel taken advantage of when with the locals. They are so easy going and friendly. They are a true representation of their beautiful island. St. Lucia has countless hiking trails that you can choose from. Start with taking a four-hour hike up the Gros Piton. It is best to do this with a tour guide or book it with a tour company, as this hike can be very strenuous. Another great trail is the tet paul trail. This one is easier on the knees as it is more of a scenic hike. On this trail, you will get a view of the green lush mountains and the waterfalls and as a plus, it comes with its tour guides. Most of the hiking trails are scenic, so you get to see the beauty of the island whiles stretching those legs after relaxing all day at the beach. If you are a looking more into nature than relaxation, then you must visit St. Lucia. 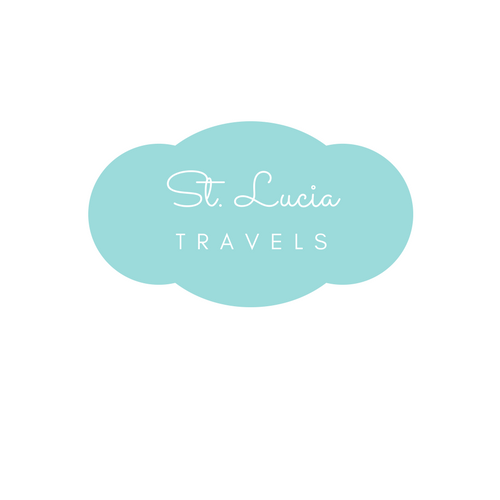 St. Lucia is known for its white sandy beaches, clear blue water, and snorkeling. Getting the chance to spend some time with the underwater creatures, and seeing from the massive coral reefs would be something to make your friends jealous. One of the most popular locations for snorkeling in St. Lucia is Anse Des Piton. Because it is located right at the base of the Pitons, some very vast aquatic animals make their home there. Another great beach for snorkeling would be Anse Chastanet Beach. A section of this beach has been roped off to prevent boats from disturbing the aquatic life. This allows you as a snorkeler to experience a whole different world underwater without being worried about the boats above. One great thing about this beach is that it is the shallowest one for snorkeling, so that makes it great for underwater photography. If you are looking for some best underwater observation there are so many other beaches you can try. On this beautiful island, they are an abundance of tours that you can enjoy. Starting with the zip lining adventure tour where you zip your way across the forest viewing the beautiful green land beneath your feet. Another tour is the horseback riding tour where you can explore the land and view the beautiful scenery that St. Lucia has to offer. Do you have a little wild side to you, then this AVT tour is the one for you. Cruise along the beach and through the rainforest while you get your adrenaline pumping on these four wheelers. This is their tip of the iceberg, there is an abundance of tours that you can try. Excited about visiting St. Lucia? Don’t forget to share this post! PIN IT HERE!